Apple has started to air a group of four commercials for the iPhone 5, each ad is voiced by Jeff Daniels (Dumb and Dumber, Newsroom) and focuses on different aspects of the phone. The videos are described briefly and embedded to watch below. The ads are all pretty good, and are thus far being received far better than the controversial and unpopular Mac Genius ads from earlier in the summer. Typically you can catch new Apple commercials on TV during primetime, keep a lookout for them. It won’t take long… The stock could hit $850 just on the mobs in the street buying phones they don’t need or $65 based on the sales channel imploding on itself during the first part of next quarter…. It ended with me stating, that I will never buy another Apple product. Do you want to be congratulated or what? Maybe you might want to file a complaint with Apple. I have been a conscious user of Apple products since 1983. They have always been supportive and willing to solve a problem. Give it a go. You may be surprised. One question though: why make this obtuse comment here in an article about 4 new TV commercials? But which also boasts what I regard as the most fundamentally flawed OS that they have ever produced… And it has been done because two big corporates have fallen out with each other and this one (Apple) has shat on its own customers, and seems to be proud of the fact. Interesting that you spend all of your time on Apple related websites commenting then, isn’t it? Guess what…? The only (Apple) site that I ever look at is this one, because it sometimes has some nice little fiddles for the Mac, and this activity takes me all of 2 minutes per day. N.B. I have been using, specifying, procuring and sometimes programming computers professionally since 1974, I was even a shareholder in a lengthy but failed project (lack of money), (unfortunately because it was better than anything currently available) to write a new x86 operating system. I understand that many Mac users regret the passing of “Tiger”, well for me, it was “Snow Leopard”, the stuff that has followed has the same failures as Vista. The new iPhone mapping software which was foisted on me, in exchange for a product which actually worked (Google Maps), was the final straw, and the inflexibility of the company, in not providing either a (usable) work around, or the possibility of an upgrade to the older version of IOS, is a serious pissmis take, and I am seriously peeved. TV Ad – Thumb -> Image superimposed on the image. I remember back in the days when Steve Jobs first introduced the iPhone as a 3.5 inches screen that he said this is the perfect screen size to use the iPhone with one hand and the guy kept the same iPhone screen size for almost 4 years for 5 iterations of iPhones but what I see today is that Tim Cook stretched the screen and made it 4 inches and they still claim its the perfect size to be used with just one hand and a thumb, I am an Apple fan but this is crab, I am expecting next year they make a 6 inches screen and they still will claim its the best size for one hand :). Apple NOW is more about generating more and more revenues by just flowing with the market, I see the Apple design language/signature is changing, starting by the iPhone screen size, the USB, the MagSafe in MacBooks, etc. I am sure that the 4″ screen was in the works prior to Steve Jobs death. In fact, I would surmise (based upon product RD&D cycles) we will continue to see technology catch up with Job and team’s vision for a while. But it won’t matter to you, because you will have your Dell. And you can buy one of so many other smartphones. You know you really don’t need to buy an iPhone – no matter the screen size. All the others are “crab” – worse than any “crab” that Apple will produce. BTW, you may want to do some research into Apple University. It will help you understand the depth of Job’s commitment to the RD&D process that is simply Apple. (And there is no recipe for apple cider at AU). I don’t know which which is worse to read, Trolls or FANBOYs. I use Apple products and they are good but they should be for the prices charged but Apple make some pretty big mistakes. Too many to list but just one was when Jobsy made us all go grey, grey Finder, grey iTunes etc. Why? What discerning observers are already noticing is that within Apple, which for years was run by one man, other control freaks will start to emerge amid a power struggle and Apple could easily bomb. How’s it go, it takes years to build up wealth but it only ever takes two generations to lose it? But then again, there are some out there that would queue, in the rain, to buy a dog turd for £500, provided it carried the Apple logo. 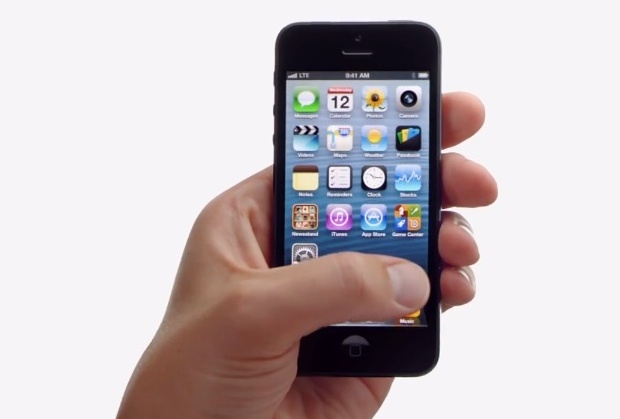 Commercial “Thumb” doesn’t make sense, because they show how iPhone being used with the left hand. And when you used normally with the right hand it is uncomfortable to use back button. They need to change iOS navigation paradigm for that new screen to make it ok to use. 2) it’s too light! Women can’t find it in their pocket books! Despite my issues with design, I AM excited about the features contained ‘within’ the 5!